Alignment with your values and belief systems is the foundation of becoming an effective leader. To be a great leader in today’s world, being a brilliant knowledge expert or technician is no longer enough. Even harder is trying to learn the golden rules of the wrong and right ways to be a great leader. The amount of content spouted in countless books and resources is overwhelming let alone confusing. To be unstoppable leaders for our businesses and our people, tuning out from the noise and distractions potentially misguiding us is pertinent now more than ever. 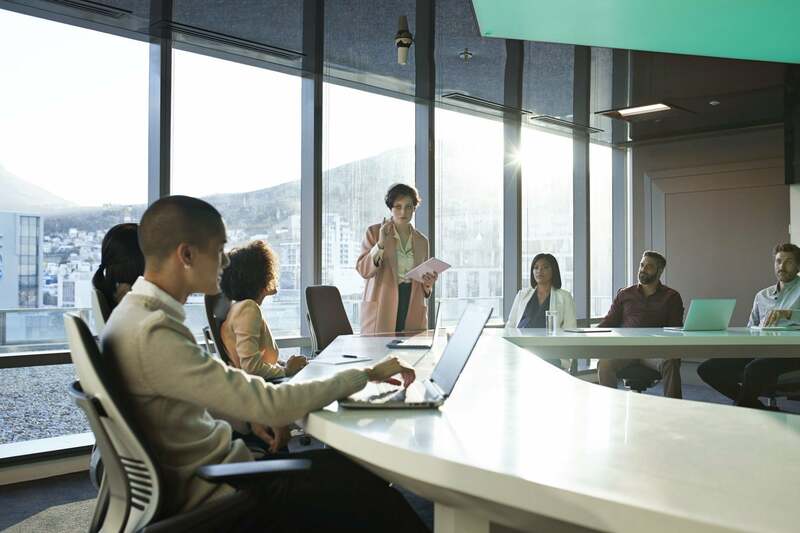 Pay attention to any presence of these four myths and make guiding your people a more soul-enriching journey that they and you will want to continue well past your leadership term’s end. Myth 1: Great leaders are highly ranked individuals. Richard Branson proves a classic example of how great leaders can get to the top without having ivy-league school connections and astounding qualifications. Having had enough of struggling at school, Branson dropped out of the highly reputed Stowe boarding school at the age of 16 to start a magazine called Student. The first publication sold $8000 worth of advertising. We all know the Virgin story from there on. Then there are the likes of Rachael Ray, food industry personality whose empire has amassed a $60M fortune without her having any culinary qualifications whatsoever. There’s a common entrepreneurial DNA that runs through the veins of such leaders. An avant-garde vision, tenacity and patience seem to be common underlying themes for many. For others, it’s about making sacrifices and taking risks that could cost their life to serve a cause extending far beyond serving their own needs. By publicly speaking out against the Pakistan Taliban’s extremist rulings, one of which of was to prevent females from accessing education, Malala Yousafzai became a target. At 15 years of age, a masked gunman boarded her school bus and shot her in the head. She survived and many months of rehabilitation spurred her determination to fight for every girl to have the opportunity to attend school. The work she achieved through establishing the Malala Fund with the undying support of her father, earned her the Nobel Peace Prize in December of 2014. Whether from desperation or a happy place there is always the genesis of a passion driving a persistence to go against the grain and to continue the fight. Often there’s no formal training, qualification or certification in sight. Myth 2: Following a certain checklist of behaviors will make you a great leader. The ‘fake it ‘til you make’ adage has become a common throw-away phrase consultants and coaches spout as a means to quickly build confidence. Following advice to merely emulate the behavior of those you admire and respect can pose grave risks, especially when you become a leader by default as opposed to by your own audition. Smart teams can smell falsehood and copycats a mile away. Your integrity will often be scrutinized and your jury will constantly evaluate the values and principles you lead by. One foot wrong might end your leadership term just as quickly as it began and not necessarily by your team’s choosing. Imagine being tasked with driving credit card sign-ups yet you yourself struggle to make repayments on your own overdraft. How long can you resist your inner conscience? You’ll feel the tug every time you invite a customer to sign up and at every request to your team to follow suit. At some point, you’ll be struggling to face yourself see in the mirror. If you think you can behave in misalignment with your values and belief systems, effectively leading and inspiring people will be a struggle let alone the fight you’ll have with your own conscience. Develop your behavioral checklist but make sure it honors and reflects your own values and principles. Myth 3: No news is good news. If you are thinking about the absence of complaints means everyone must be happy, think again. Your team may feel unsafe to feedback the grave cracks in systems and processes, admit their mistakes or confess they aren’t coping. Projecting sunshine on the outside, they could be battling to heal fractures in their mental health or be suffering unbearable turmoil in their personal lives. In a survey of 2219 working adults, the Centre for Addiction and Mental Health (CAMH) discovered 38 percent would not tell their manager mental health problems. More than half of those felt doing so posed risks to their careers. The key reason those who said they would disclose mental health challenges with their managers were having a positive relationship with him or her. When things appear dandy, look closer. These could be signals you need to create closer, transparent relationships with your staff. Genuine efforts to create trusting bonds with your team will help you to foresee threats that could send the business crumbling at glacial magnitude. As indicated by CAMH’s research, you could also be in a prime position to save someone’s life. Quieter times are always golden opportunities to work on the business. Your team is a key part of it. Anonymous satisfaction surveys focus groups inviting feedback from all members of staff on how to improve existing systems and processes– not just solve problems — demonstrates their contributions are valued. Keep stoking the conversational fire with your people. Related: Are You Taking Care of Your Employee’s Mental Health? Myth 4: It’s weak to admit feeling fear and vulnerability. When Oprah revealed to her talk-show audience how she herself had been molested as a young girl by family members, her vulnerability stood her 10 feet taller in the eyes of her audience. Her global following grows and her voice becomes louder and stronger. How does this happen? According to renowned social researcher Brené Brown, being discerningly daring to reveal weakness, admitting failure and not knowing all the answers is one of the bravest acts of courage today’s leaders can demonstrate. Conversely, being the impervious know-it-all is a fast track to lose loyalty, trust, respect and friends. To be human is to feel the full spectrum of emotions, good and bad, light and dark. If you believe being a great leader is not admitting you also experience what your team experience, you need to rethink. Ironclad bonds in any relationship birth from shared adverse experiences and being artfully empathetic, not distancing yourself and protecting your ego at all costs. Carefully consider where you might punch holes in your protective shield. Gradually test the waters with your people and watch relationships with your team transform for the better. You’ll wonder why you didn’t do it sooner.